Welcome to the Catenian page for the West Somerset Group of Parishes. The Catenians are “proudly Catholic” and its membership is comprised of men who are practising members of the Roman Catholic Church. Any practising Roman Catholic man is eligible for membership. To advance the interests and development of young Catholics and to assist them in the choice or pursuit of a career, including the promotion and support of the Catenian Association Bursary Fund. 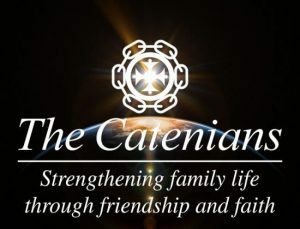 The Catenians are an international organisation, which was founded in 1908 by Louis Casartelli, the then Bishop of Salford. The Association is divided into provinces, which in turn are divided into branches called ‘Circles’ because the formal part of meetings are conducted with the chairs arranged in a circle and the members are called ‘Brothers’ to reflect the mutual support and sharing of common values found within the Circle. The Brothers meet, at least once a month at The Walnut Tree Hotel in North Petherton. The name Catenians comes from Catena, the Latin word for Chain. Each member is seen as a link upon which the strength of the whole chain/circle depends. Prospective members are invited (without obligation) to join in one or two social activities and then come along to a couple of meetings as an observer: we are very definitely not a secret society! If at that point you feel you (and your wife if you are married) would enjoy the benefits of membership then you would make formal application through the Catenians with which you have made contact.